If I told you that the final report on bisphenol A (BPA) has been issued, would you believe me? 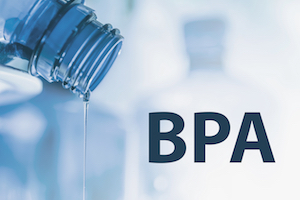 After nearly two decades of studies from various groups attempting to prove that BPA either causes—or does not cause—problems in humans, the results released last week once again confirm that BPA is safe in the minute levels found in plastic consumer products. The report provides the complete results of a five-plus year, multi-million dollar study that was conducted by scientists at FDA’s National Center for Toxicological Research. As stated by FDA’s principal investigator, “In the study authors’ judgment of the results . . . BPA did not elicit clear, biologically plausible, adverse effects . . .” at levels even remotely close to typical consumer exposure. The draft report was peer-reviewed by a panel of independent scientists, who endorsed the design and execution of the study as well as FDA’s interpretation of the results. It is expected that the study will also be published in scientific literature early next year. But don’t expect this to really be the final word on this decades-long debate over the safety of BPA. Those who disbelieve this study as well as all the previous studies will continue to produce “evidence” that BPA is harmful to humans. It really just depends on the researchers’ biases, i.e., if the researchers are looking for proof that BPA is harmful, their research will find evidence to support that. The plastics industry should believe that the U.S. National Toxicology Program of the FDA is unbiased, objective and does not benefit in any way from the outcome of its research. I will say that while the CLARITY Core Study might not be the final word on the BPA issue, this will be my final blog on this topic! Image courtesy Ivan Uralsky/Adobe Stock Images.